In one of our raised beds, (the one I haven’t talked about much) we are planting zinnias. The catch is, we are planting them all from seed, rather than buying plants. We are trying several different varieties of zinnias to see how they do. 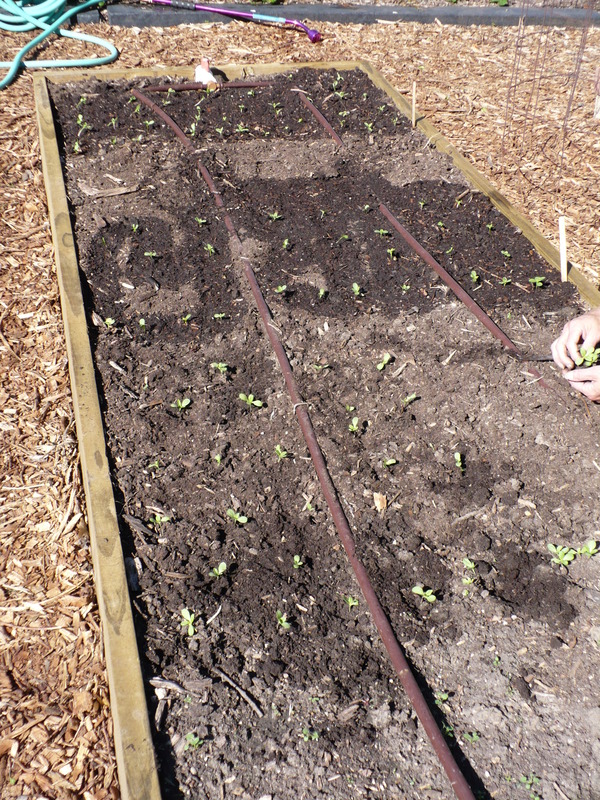 We started out by planting the seeds in single rows. The rows were kind of like a “nursery” row. The zinnias are still rather small, but it seemed like a good time to transplant them – before the roots get too tangled together. 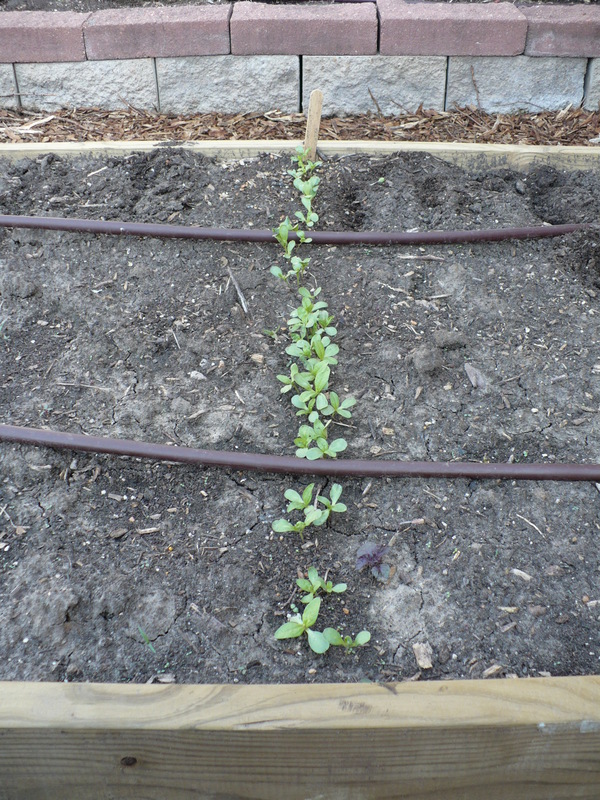 The seedlings were gently dug up and spaced out to be planted on a 4-6″ grid. They are so tiny! It is hard to believe that in another 4-6 weeks they will be large plants that are beginning to flower. Bob, our other horticulture agent says that this is how older generations that couldn’t afford to buy plants would start a lot of their flowers in the spring. So, do flowers weasel their way into your vegetable garden? I always had flowers in the vegetable garden growing up, because that’s where they fit! What flowers to you plant? Posted on May 20, 2009, in Polls, Working in the Garden and tagged flowers, seed starting, zinnias. Bookmark the permalink. 2 Comments. I have no idea why the poll is behaving strangely! Sometimes blogs do odd things. On the marigolds – in India, they actually eat the huge flowers of the varieties we find nasty. They eat them like apples at one of their major festivals. (I don’t remember which one right now.) But sometime you should try growing citrus marigolds (aka signet marigolds, “Gem” Series, etc.). They are cute and tiny, and the plants are beautiful mound shapes with ferny foliage.